The Annual General Meeting of the Council was held on 15th May. All Parish Councillors attended. David Skelton was elected as Chairman and Dan Smith as Vice-Chairman for the forthcoming year. Regarding PA17/09824 Swallow’s Rest, Golberdon, it was reported that after further consultation with the planning officer which resulted in some welcomed changes to the proposal, the Parish Council agreed to reconsider its previous response and agree with the recommendation to the planning officer to approve the application with conditions. The Council had not been informed about any progress with ongoing planning enforcement cases in the parish. The Parish Council is cooperating with The Hall Committee to replace the wood floor in the main hall. Quotations were opened and a recommendation made to the Hall Committee. There was a preference for a hardwood floor but this will be more expensive. Applications are being made to the Big Lottery Fund and Viridor. The Hall committee has also set aside £3,000 but some of the money will have to come from fund raising within the parish so please support these events. Parish councillors and other volunteers have completed most of the maintenance tasks needed in the Play Area. Another session is needed to complete the work, which will be publicised. Thanks in advance to anyone willing to muck in and to those that have already helped. The management of a couple of allotments needs to be improved because weeds and seeds are having an unacceptable effect on neighbouring plots. A list is being compiled of work that needs doing to our footpaths. This will be completed by our next meeting. Our clerk, Jenny, who has been on an appropriate training course, was appointed as our Data Protection Officer. The meeting, chaired by Dennis Hicks, ended with everyone warmly thanking him for the time and effort he has committed to serving the Parish. Our AGM included the Annual Parish Meeting when anyone from the parish could discuss parish matters with our Cornwall Councillor or the parish councillors but no-one took this opportunity. In the last few months 50+ people have attended parish council meetings to give their views on planning applications which has helped to inform comments made by The Parish Council. There are plenty of other issues on which the Council would welcome your views. An example is the new Community Network Highways Scheme. This is a new initiative giving the Caradon Network Area (that’s South Hill + 7 neighbouring parishes) £50,000 to spend on highway improvements of our choosing. It can’t be used for routine maintenance which rules out fixing drains and potholes. Proposals with wide public support which benefit more than one parish are more likely to succeed. Stoke Climsland Parish Council has proposed speed warning signs for Bray Shop. Linkinhorne and our parish are supporting the idea which will benefit all three. When you are next out on the road, think about good uses for that money. Let any of your Parish Councillors know or email the council, southhillpcclerk@gmail.com This scheme will be used by others from elsewhere if you don’t! Please note that the first part of this report is selective, based on notes taken during the meeting. Full and formal minutes of the meeting will be approved at the next meeting. 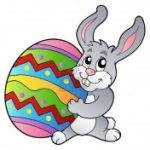 This entry was posted in Parish Council on May 22, 2018 by AH. Saturday evening. BEETLE DRIVE 7pm start Parish Hall Golberdon. £3 per person including refreshments. In aid of the Parish Horticultural Society. The woodland visit to Trematon has now be confirmed for next Monday 26th, car sharing from Green Meadows at 10am. Join us as we visit a young mixed species wood, plus an established wood which has had no management and another which is described as “the most beautiful wood I’ve ever seen” and reaches down to the beach on the north side of the Lynher. All welcome email share@south-hill.co.uk for numbers or phone Sue 382397. Parish Hall Wi-Fi (SHARE In Our Community) – there is currently a fault with the broadband connection at the Parish Hall. It seems to have failed just after midnight on Tuesday 20th Feb. We are looking into it and hope to get it reinstated as soon as possible. As far as we know this is the first time this has happened. Do you use the Hall wi-fi service? If you have had any issues, please let us know by emailing sue.skelton@south-hill.co.uk. Ultra fast fibre Broadband to the premises is now available from Cabinet number 4 and covers South Hill, Mornick, Lansugle and Trewassick. If you make enquiries and find out any more, please email newsdesk@south-hill.co.uk so we can let others know. Parish Council reminder: All roadside hedge-trimming should be completed by the end of February 2018. There are a couple Eastern European men with a white Ford Transit van registration number NJO3 RKA in the area stealing what they can. They targeted this area last year and have come back. Keep your eyes peeled and call the police if you see anything suspicious. GOOD NEWS… we understand that these two unsavoury characters have now been arrested. This entry was posted in Clubs/Groups, Community Energy, Events, Fundraising, General Interest, In South Hill Parish, Parish Council, Parish Hall, Young Farmers on February 21, 2018 by AH. The absolute deadline for submission of nomination papers is the 4th April. Could you be one of the Parish Councillors who will be elected in May to take a lead in serving the South Hill community? To be a Local Councillor you must be at least 18 and a British, Commonwealth or European Citizen. You also need to be a local elector or have lived, worked or owned a property in the parish for at least a year. 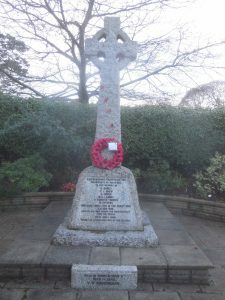 This entry was posted in Cornwall Council, In South Hill Parish, Parish Council, Politics on March 25, 2017 by AH. Well this is my last newsletter as your Cornwall Councillor for this administration. By the time the next edition comes out, we will be into the campaign period for the May election and it will be inappropriate for me to be using your parish magazine for communicating with you. I therefore want to thank you for your support over the last four years. It has been an honour and a privilege to be your representative. It has been a difficult period because of the huge savings that had to be made in the council’s budget but I hope I have made a small contribution to minimising the impact. The event took place on Saturday 4th March from 9am – noon. The 86 visitors that attended saw exhibits from the WI, St Sampson’s Church, South Hill Piecemakers, SHARE, Justin from the NHS demonstrating the defibrillator and South Hill Village Hall. The main attraction however, was a display of the Neighbourhood Development Plan alongside Councillors talking about the plan and our ambitions for footpaths in the Parish. The visitors were from all areas of the Parish including Golberdon, Maders, Berrio, Mornick, Trewoodloe, Trewassick, Lansugle, Egypt, Trevigro, South Hill, Bray Shop, Jericho, and Manaton. 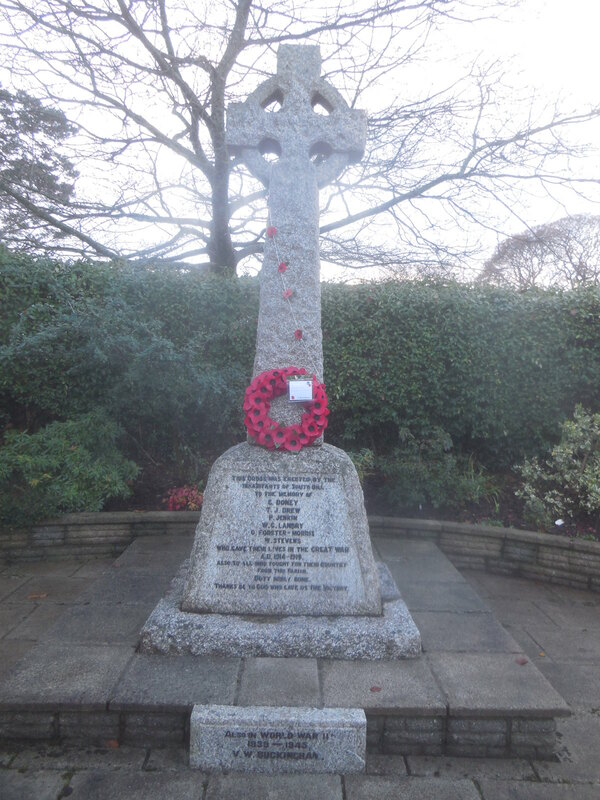 This entry was posted in Charity, Clubs/Groups, Community Energy, Events, Food, In South Hill Parish, Neighbourhood Plan, Parish Council, Parish Hall, W.I. on March 6, 2017 by SAS. The South Hill Parish Neighbourhood Development Plan (NDP) has now been returned after being reviewed by an independent examiner. The comments that we received were very positive and there were no major changes to make to the policies. The NDP team are now organising an event for March 4th 2017 at the Parish Hall. 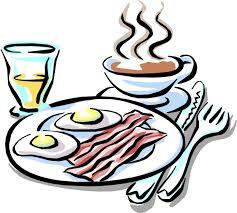 This will be a Free Big Breakfast starting at 9am for all residents. The final draft version of the Plan will be available to be viewed and the team will be there to answer any questions that you may have. This entry was posted in Food, Neighbourhood Plan, Parish Council, Parish Hall on February 7, 2017 by SAS. Welcome to the South Hill Connection Newsletter! Because a ground source heat pump is being installed, the playing field will also be closed for a few days while trenches are dug and pipes laid. Thank you for your understanding while this work goes on. A big thank you to the Big Lottery and SITA for their grants towards the cost, and to the Hall Committee and Parish Council for all their help in driving this project forward. The South Hill Connection Newsletter would like to introduce a guest editor to assist the news team. Assemble the articles and advertisers into a new design or follow the existing guide lines, your choice. You will be supported by others and proof-readers to produce the April/May edition or pick other months. Why not? We’re also looking for a TREASURER for the South Hill Connection, to email annual invoices to our Advertisers (around 25 over the year), no need to attend any meetings, there are only 1 or 2 a year anyway. PLEASE DO GET IN TOUCH if this is something you can do for us. Phone Brian for the details 07813 693479. Thank you for stepping forward. Some news articles are also posted here as a blog. The latest will always be at the top. If you want to search for news articles you can do so using the Search box on the right, or by selecting a News Category from the drop-down list. This entry was posted in Advertising/Business, Church, Community Energy, Events, General Interest, In South Hill Parish, Parish Council on January 28, 2017 by SAS.